Everyone loves a good story and on our farm we have been growing them for generations. Jon and I grew up on a farm, just as our parents, grandparents, and great grandparents did. Having launched our business this past year, we are so proud to continue in their footsteps. As we travel throughout New England sharing our vegetables, we have found people are interested in our roots. Jon and I hope we can help share the stories of the past and present in unique and innovative ways as a central part of GROMAINE. 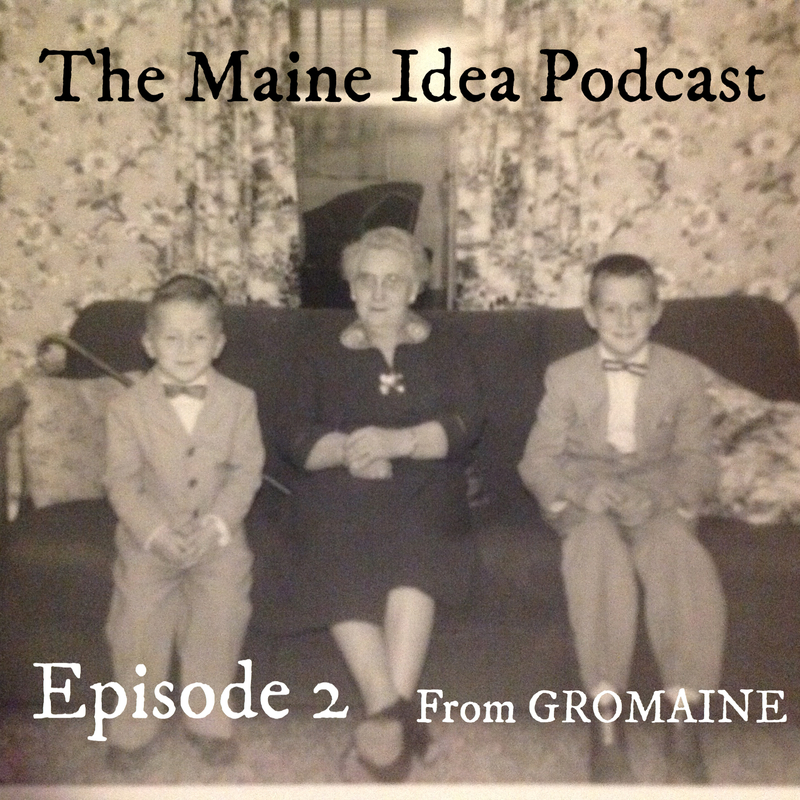 The Maine Idea Podcast stems from our love of the stories we’ve listened to since our childhood. We want to bring these tales to life and help you feel even more connected to our farm and the land on which we live and grow. Thanks for the links to all those great stories and information! So proud that this is our heritage. Loved growing up on a potato farm. Wish the small farms were still able to flourish. Keep up the good work. You are truly running true to form – researching all the generations of Noyes farmers. Although you may have more up to date tools than your family had during their time, you and Jon have inherited the lore and lure of the earth and profiting from what came before. I really believe there is no stopping you. Your titles will continue to grow just as your projects keep growing. Keep’em coming! Mass. This was his signature inside a book. Thanks so much Grandma Lorrie! We really enjoy sharing our stories. It has been so interesting learning about your family history as well. Just think, P. Danzig likely attended the same pharmacy school as our great grandfather, the man featured in this podcast by our grandmother Pam. It is a small world!